Replacing your front bolt, rear bolt, or power tube can give you a increase of performance. 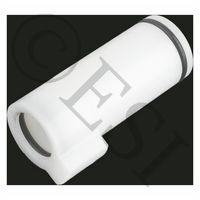 Adding on any of these will help your A5 perform smoother and even reduce recoil. If you are shooting fast, recoil will kill you accuracy from shot to shot. Reduce your recoil and get those paintballs on top of each other. Order now to get in line. Should be in stock and shipping on 04/17/2019. Upgraded front bolt, designed to have less friction. 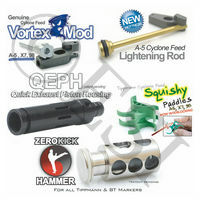 Add massive upgrades to your cyclone feed and rear bolt. 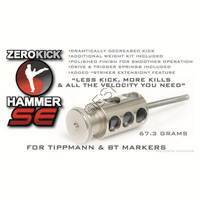 TechT Paintball Zero Kick Hammer SE with Striker Extension Extra stiff spring for maximum velocity.